Ohio State is the third largest university in the nation. Each of us are part of an extremely complex ecosystem with a high volume of internet traffic. Email is a big part of it. Of those emails, some are legitimate, some are advertising and spam and some are actually malicious. The university receives thousands of phish emails a day, and thousands of those are reported by diligent users each month. As always, if you see a suspicious email, DO NOT CLICK, forward to report-phish@osu.edu or click your “Report Phish” button on Outlook. 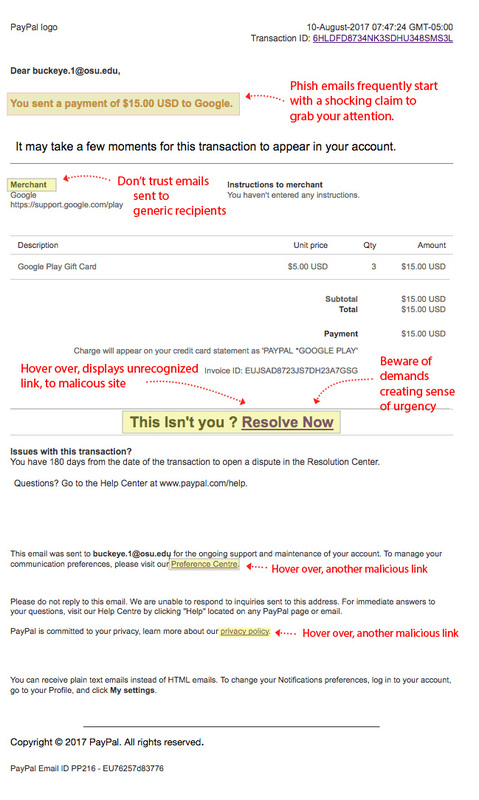 Below are a few recent examples of actual phish attempts that have recently been reported in university inboxes. We have noted the indicators below that can help you to recognize these messages as illegitimate. 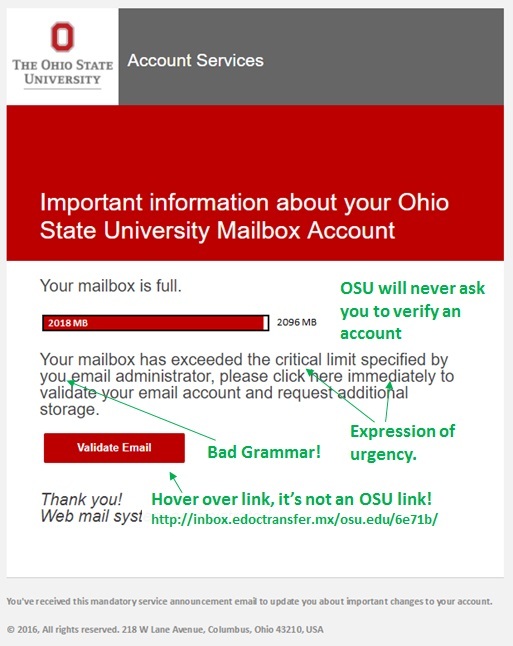 As always, if you see a suspicious email, DO NOT CLICK, forward to report-phish@osu.edu or click your “Report Phish” button on Outlook.